Located on the old road of Puy, our establishment is an honor to welcome you in its friendly and family atmosphere. We offer regional, traditional Italian cuisine. Our menu suggests specialties such as frog legs, grated, the sausage, the kidneys, liver, veal, fried, pizza, among others, to eat in or take away. Open for lunch from Monday to Sunday (12:00 to 14:30 Service) evening from Thursday to Saturday 7:30 p.m. to 9:30 p.m. Service. 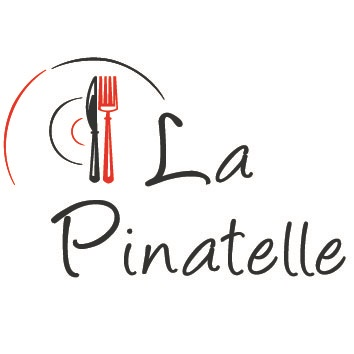 To book outside of working days, please contact us.We are available and attentive to our customers for the organization of events such as karaoke nights, birthdays, christenings or Pilat doors to mariages.Niché The inn Pinatelle is a nice restaurant, run by Fabrice since 2014. Nicknamed the "Etienne plug", one finds something to eat it there with traditional cuisine, as it quite hearty. Sausages, grated salads, dumplings or frog legs ... Notice to specialists or amateurs, you leave without your hunger. Aesthetic side, after a renovation with great fanfare, the manager decided to retain the rustic spirit. Tested and approved by the inhabitants of Roche-La-Molière but also by the inhabitants of nearby towns, hikers like to settle on the terrace as soon as spring emerged and what scenery!